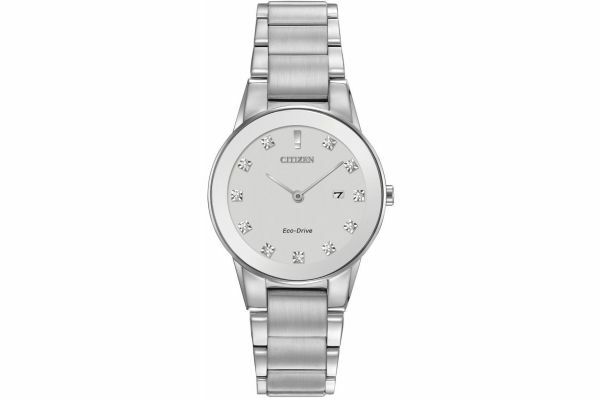 The Citizen's Axiom collection offers sleek and understated style with part brushed, part polished stainless steel bracelet and simple minimalist dial. 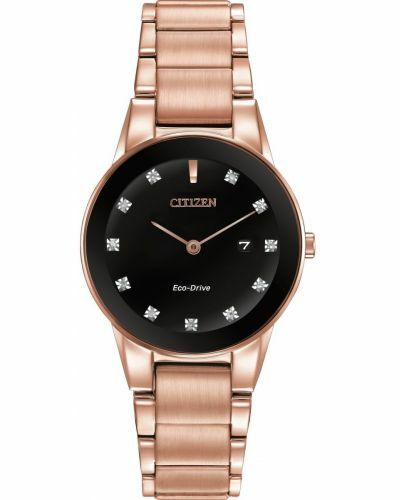 The watch features edge to edge glass with 11 diamonds set at the markers, completed by a date feature at the 3 o'clock position. 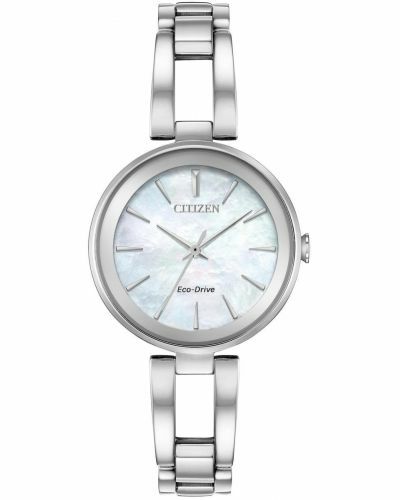 This watch is powered by Citizen's Eco Drive Technology and comes with a 5 year guarantee (6 year cover optional). 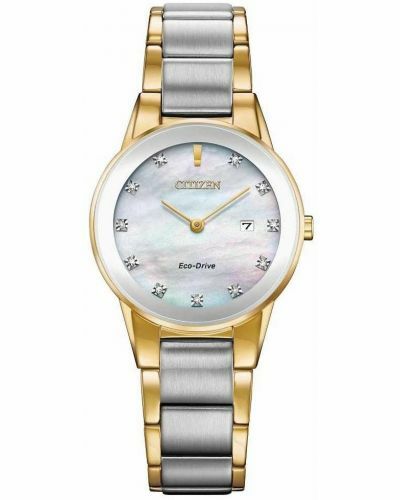 For us to size your new Citizen Axiom watch as accurately as possible, please take a look at our downloadable Watch Sizing Guide.